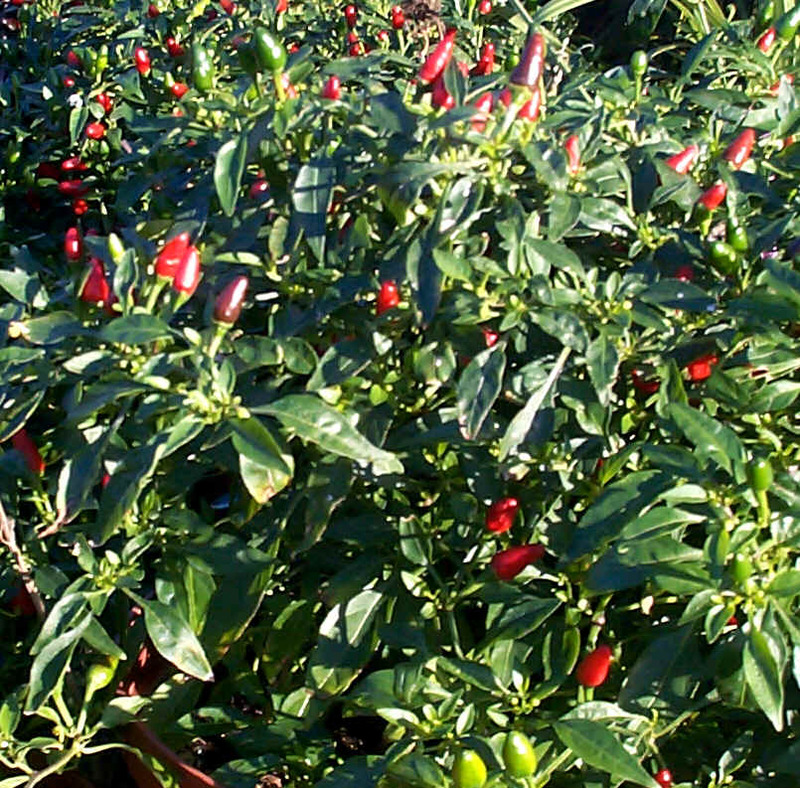 The Thai Hot pepper is ornamental as well as edible for those who can stand the heat. It is in the top ten of the hottest peppers. The plants form stocky, 8-10" mounds that are great in borders or containers. They look fantastic in hanging baskets. The 1" peppers start out a dark green and mature to a deep red. They are good fresh for oriental dishes and chili. They are easy to dry and keep well this way to be used this way all winter. The plants can be grown inside over the winter in a warm, well lit spot.